Oncology nurses are highly skilled and passionate registered nurses (RNs) who care for patients with the diagnosis of cancer as well as their families during the diagnosis and treatment. They strive to make the experience of patients and their families as positive as possible during all stages of treatment. The field of oncology nursing has evolved over the past 60-70 years. In the mid 1900s, cancer was primarily treated with surgery. So the role of nurses in the treatment of cancer was limited to the post-operative care of surgical patients. The National Cancer Act of 1971 fueled research to find new methods to prevent, treat, and cure cancer. New methods for treating cancer were developed, and survival rates for cancer patients began to climb. As a result, the roles of oncology nurse expanded. They were no longer simply providing post-operative care to surgical patients. Instead, they became instrumental in treating patients as well as educating patients and their families. Oncology nurses today fill diverse roles in the care and treatment of cancer patients. Over the years much of the focus has evolved from treatment to prevention. 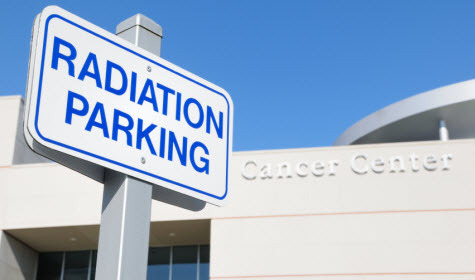 The idea is that with more time spent promoting healthy lifestyles and educating people on the warning signs of cancer, fewer patients will experience advanced stage cancer. The focus of oncology nurses over the years has also shifted from patient-focused to family-focused care. They continually educate patients and their families on the disease and its treatments and give support to patients and their families. They promote open communications between the patient, their families, and the cancer care team. They drive overall patient care by coordinating with the other members of the patient’s multi-disciplinary oncology team. As part of their day-to-day job, oncology nurses not only act as a direct caregiver to cancer patients, but also advocate on behalf of the patient and their families. Oncology nurses provide direct care to patients by administering treatments such as chemotherapy and managing treatment-related side effects. They monitor the lab results of their patients throughout treatment and insure that patients understand what they mean. Oncology nurses treat patients holistically. They treat the whole person and not just the cancer. They also work to prevent cancer, provide care for cancer survivors, and provide care for cancer patients as the end of their lives. These nurses can work in any health care delivery setting where clients exist that have been diagnosed with cancer or are at risk of developing cancer. These include settings where they not only receive treatment and care, but also settings where clients might receive education on cancer and treatments, counseling for cancer, or screening/detection of cancer. Most oncology nurses work in hospitals with oncology departments or in specialized cancer treatment hospitals. However, they also work in medical offices, ambulatory care, hospice centers, public health, home health care, pharmaceutical industry, and occupational health settings. Additionally, oncology nurses are required to possess certain cancer-specific knowledge and clinical expertise in cancer care. This can be learned on the job or through coursework and continuing education. After gaining enough knowledge and experience, nurses can choose to demonstrate their competency in oncology by becoming certified. Several oncology-related certifications are available to nurses. For example, they can become an oncology certified nurse (OCN), an advanced oncology certified nurse (AOCN) or a certified pediatric oncology nurse(CPON). Because there are so many different roles they can fill, so many different kinds of cancers, and different populations (children, adults, older adults, women, men, etc. ), oncology nurses can specialize in many areas. Nurses going on to pursue careers in advanced practice nursing by completing a Master of Science in Nursing degree and/or Doctor of Nursing Practice degree can become Oncology Nurse Practitioners or Oncology Clinical Nurse Specialists allowing them to even further expand the roles which they can fill in the field of oncology health care.